Authors are frequently the axis upon which users engage with content and Author Pages provide a “one-stop” entry point to get all information related to an author including biographies, primary texts, criticism, reference works, multi-media resources and other related content. 1. Information about the author - gender, nationality, literary movement and a biography. In many cases there’s a picture of the author. 2. 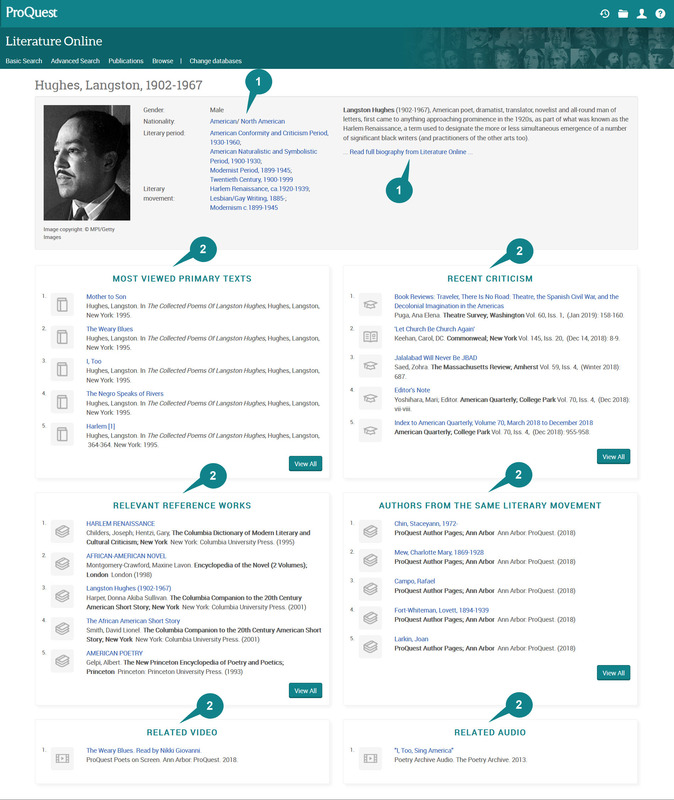 Links to LION records related to the author - Most viewed primary texts, Recent criticism, Relevant reference works, Authors from the same literary movement, Related Video, Related Audio.